Where people go to buy great cars at great prices! 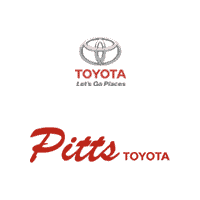 Since 1978, Pitts Toyota has been providing their customers with exceptional service both in sales and maintenance. 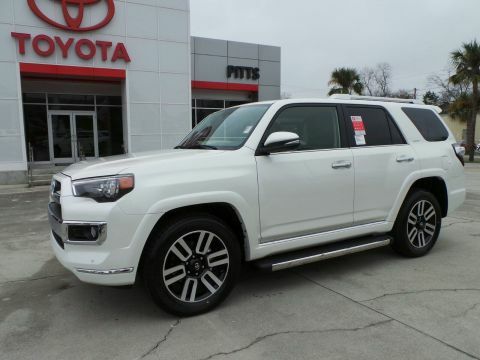 Offering a full range of quality automobiles, Pitts Toyota retains the highest standards that Toyota is known for. Radio: Entune Premium Audio w/Navigation -inc: Entune Multimedia bundle (6.1 high resolution touch-screen w/split screen display, AM/FM CD player w/MP3/WMA playback capability, 8 speakers, auxiliary audio jack, USB 2.0 port w/iPod connectivity and control, advanced voice recognition, hands-free phone capability, phone book access and music streaming via Bluetooth wireless technology), Siri Eyes Free, Entune AppSuite, HD Radio, HD Radio predictive traffic and Doppler weather overlay, AM/FM cache radio, SiriusXM satellite radio w/3-month complimentary all access trial, Gracenote album cover art and integrated backup camera display w/projected path, Entune App Suite includes Destination Search, iHeartRadio, MovieTickets.com, OpenTable, Pandora, Facebook Places, Yelp and Slacker Radio; real-time info including traffic, weather, fuel prices, sports and stocks Access to Entune services is subscription free. See toyota.com/entune for details. 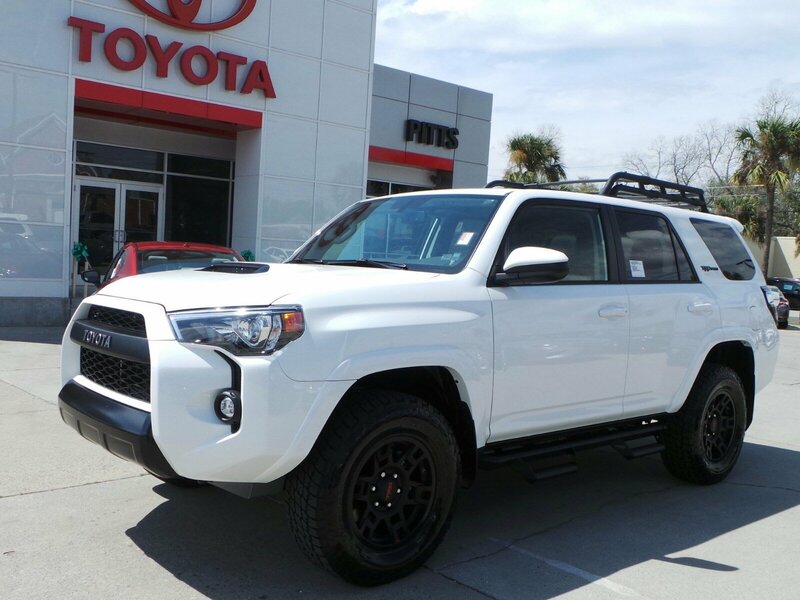 Only 3 TRD Pro models left in stock! New vehicle pricing includes all offers and incentives. Tax, Title and Tags not included in vehicle prices shown and must be paid by the purchaser. The Dealer Doc fee is $499 and is not included in the vehicle pricing. While great effort is made to ensure the accuracy of the information on this site, errors do occur so please verify information with a customer service rep. 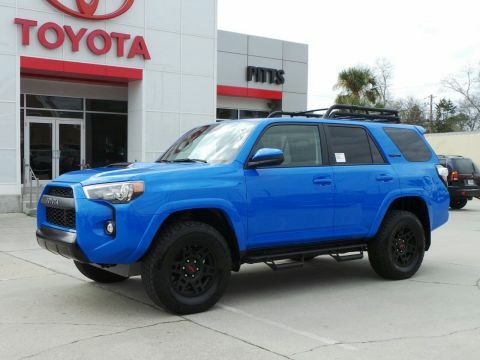 This is easily done by calling us at 478-272-3244 or by visiting us at the dealership. Cliff was absolutely amazing! He was straightforward about everything. We told him was hubby was looking for, what he wanted, and he got us in it. I will definitely be back to buy my vehicle when the time comes. Thanks, Cliff! Cliff is awesome! He took great care of us! Will deal with him again in the future! I had a fantastic experience with Mr. cliff he hooked us up with some killer deals. He made the experience worth while will shop again. Love working with Pitts Toyota, especially when they have employees like Cliff Capman . Every department that had a hand in making sure the car I purchased met my needs, stayed within my budget range and did it with a smile on their face. Cliff took my customer service experience to the next level, he was the most accommodating sales associate I have had the pleasure of doing business with in a long time! Thank you so much for making my car buying experience enjoyable!!! I got my first truck from Pitts Toyota. Their staff are very helpful and knowledgeable. If you go there for any reason ask for Cliff Capman, he made sure I was treated well and looks out for his customers. Cliff Capman is a wonderful salesman. I hate car dealerships and was dreading buying another vehicle. Cliff was extremely low pressure and gave me an excellent deal on a Toyota Yaris for my daughter. In and out in less than an hour. Wonderful experience. So good in fact I went back a week later and bought a Toyota Tundra from him for myself. He gave me an extremely good deal on the vehicle. If you need a vehicle go see Cliff and Pitts Toyota. 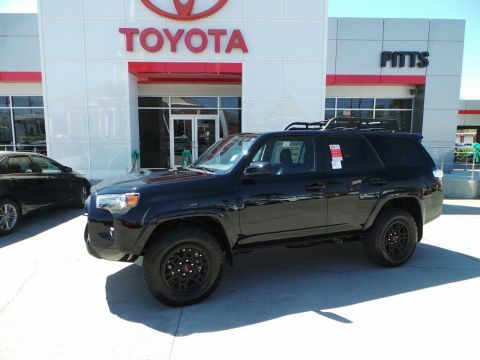 Since 1978, Pitts Toyota has been providing their customers with exceptional service both in sales and maintenance. We know that you have high expectations, and as a car dealer we enjoy the challenge of meeting and exceeding those standards each and every time. Allow us to demonstrate our commitment to excellence!